Devon Air Ambulance Trust (DAAT) is a registered charity that provides emergency Air Ambulance Services in and around the county of Devon. 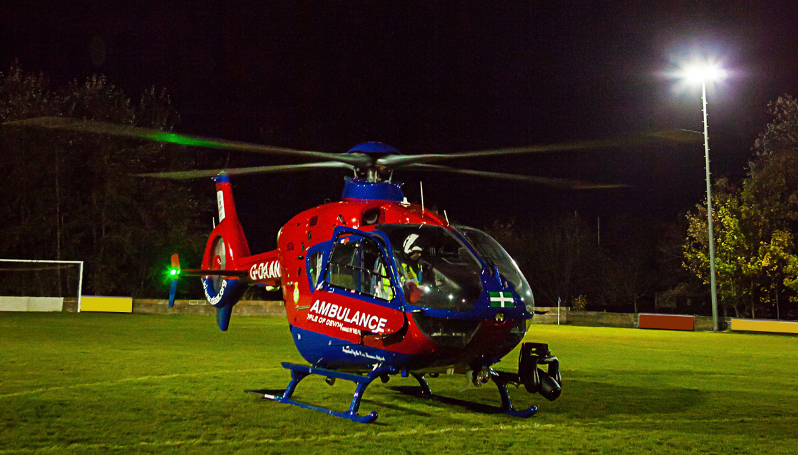 DAAT are working with communities across the county to develop a network of pre-surveyed floodlit ‘community landing sites‘ which enables them to bring a life-saving service into the heart of communities when it is dark. The parishes of Arlington, Kentisbury and Parracombe are working together with DAAT to install a community night landing site at Blackmoor Gate farmers market. The total cost of the project is in the region of £8,200, just over half of which has been pledged by DAAT. We have raised the remaining funds through community activities and with kind donations from from North Devon Council (£1,000) and Exmoor Trust (£1,265). A planning application has now been submitted to Exmoor National Park Authority and subject to approval, works will commence on the construction of the project early summer.